"I know the tremendous benefits that Early Intervention services can provide to our delayed and disabled infants and toddlers, and I was extremely concerned when I learned many providers would likely be suspending their vital therapeutic services at the end of this month," Munger said. "My office is working today to set up the accounts and we will immediately begin making payments to Early Intervention providers as soon as we receive vouchers from DHS so we can avoid further hardships." Early Intervention providers, who work on development strategies with disabled infants and toddlers, are the latest group in a growing list of organizations to be penalized by the ramifications of the budget impasse, now in its third month. Munger announced last week that the current $6.2 billion bill backlog is expected to grow to $8.5 billion by the end of December if the impasse continues. "It is time for members of the General Assembly to sit down with the Governor to find common ground and pass a balanced budget so we can fund our critical priorities," Munger said. Other states besides Illinois have also not passed a working budget for current fiscal year. States operating as of Monday, September 14, without a twelve-month budget include Alabama, Illinois, New Hampshire, North Carolina, and Pennsylvania. Large, urbanized states such as Illinois and Pennsylvania are proving to be especially vulnerable to budget pressures, especially when the Governor’s office and the state legislature are in separate hands. In both Illinois and Pennsylvania, Republicans have proposed significant reductions in State spending trajectories and the so-called “structural deficit,” and their proposals have been rejected by Democrats. Long-term spending pressures, especially in urbanized states, tend to be driven by Medicaid health care costs, pay and benefits for public-sector workers, and the costs of taking care of a chronologically older and slower-growing population demographic. Mayor Rahm Emanuel proposes largest property tax hike in city history. Funds from the proposed $500 million/year levy would be allocated to unfunded public safety pension liabilities and to school construction and renovation. The property tax hike proposal would be part of an overall tax increase package that is also expected to include increased levies on garbage collection and new taxes on e-cigarettes and ride-sharing services. 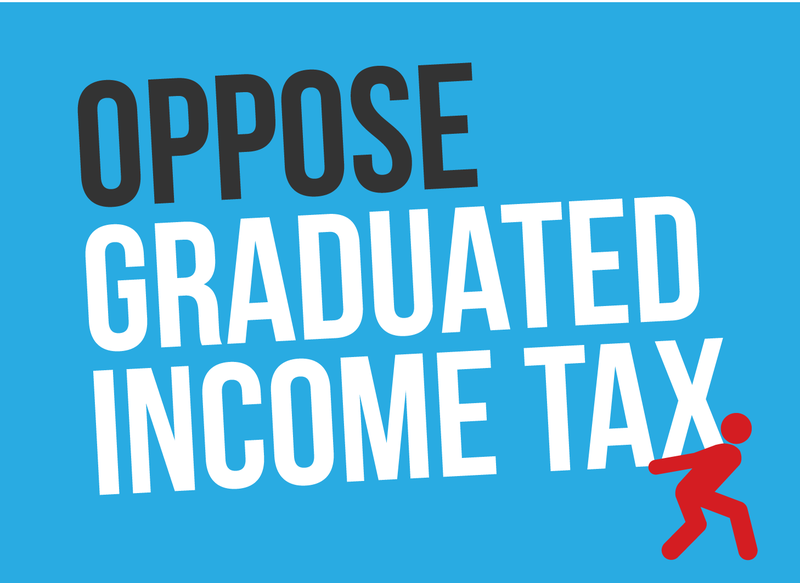 Even prior to enactment of the Emanuel property tax proposal, the average Chicago homeowner is already facing property tax bills that are approximately 50 percent higher than 5 years ago in 2010. Furthermore, residents of many Chicago-area suburbs have faced their own substantial rounds of increases and currently face substantially higher property tax bills than homeowners in Chicago. The nonpartisan Civic Federation reported in September 2014 that by at least one measure, Chicago had the lowest effective residential property tax rate in Cook County. Property tax rates and property tax bills are closely connected. The application of a property tax rate, a percentage of appraised value, to the appraisal value of a parcel of real property generates the property tax bill for that property. Manufacturers see 3,000 Southwest Illinois job openings in their sector over next five years. The prediction for 2015-2020 was released in a joint appearance in Alton by leaders of the Madison-Bond and MidAmerica Workforce Investment Boards, which represent local employers. The announcement was held on Monday, September 14, and was covered by the Alton Telegraph. While southwestern Illinois has faced employment challenges in recent years, the underlying factors that have sustained the manufacturing sector in this region – especially access to a variety of transportation infrastructure pathways to move goods in and out of the area – remain. The job openings are expected to center in, but not be limited to, Madison County in and around the county seat of Alton. Employer representatives used the Monday appearance to ask the local education sector, especially high schools and Lewis and Clark Community College, to play a role in training future workers for an increasingly automated manufacturing work environment. Changes in State law could help further this trend by improving Illinois’ jobs climate. 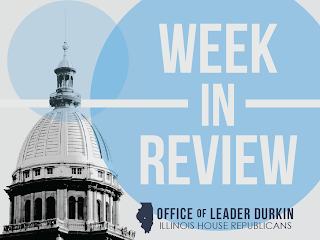 House Republicans continue to call for tort reform, workers’ compensation reform, and other improvements to help protect and create Illinois manufacturing jobs. Emiquon Preserve is building sluiceway in barrier built to separate wetlands from Illinois River. The $6 million water management structure, which will be a sluiceway and pump house on top of and adjacent to an existing levee, is meant to create quasi-natural rises and falls in the water level in the preserve. These rises and falls are meant to mimic the water levels in existence during the changing seasons when Emiquon was a natural wetland in the 1800s. The structure will have to be actively and continuously monitored to separate the river – which is heavily used for commercial freight traffic and filled with non-native species such as Asian carps – from the watery land parcel, which is being restored by the Nature Conservancy to a state as close as possible to where it was when it was a wetland in the 1800s. The Conservancy believes that scientific instruments, nets, and other devices will be effective in keeping carps and other alien creatures out. Emiquon Preserve, which is located near Lewistown in Fulton County, is a public-private partnership national wildlife refuge largely managed by the Nature Conservancy. It is the largest natural area, by acreage, in the greater Peoria area. Water management structures similar to the one being built in 2015 at Emiquon are operated for channel-depth maintenance purposes by the U.S. Army Corps of Engineers, which manages most of the navigable waterways and adjacent levees of the Midwest. This structure, if it is successful, would extend the use of this existing engineering technology to a new level of ecosystem management. Illinois unemployment rate drops to 5.6%. The jobless percentage for August 2015 was down 0.2% from the July 2015 report of 5.8%. The decrease in the unemployment rate was not, however, accompanied by new job creation. Total nonfarm Illinois jobs remained flat at 5.92 million. The August jobless numbers were reported on Thursday, September 17. Continued declines in the number of Illinoisans engaged in the production of tangible goods – mining, construction, and manufacturing - was matched by the continued creation of new jobs in financial activities and educational and health services. The number of Illinoisans employed in tangible-goods sectors declined by 4,200 from July to August 2015, and the number of Illinoisans employed in financial/educational/health care professional-service sectors increased by 5,000. These trends have been in place for some time. Illinois unemployment remained significantly higher than the nationwide figure of 5.1%. In addition, many states adjacent to Illinois are reporting lower unemployment rates than the Prairie State. According to the federal Bureau of Labor Statistics, August 2015 unemployment rates were 4.6% in Indiana, 4.5% in Wisconsin, and 3.7% in Iowa. 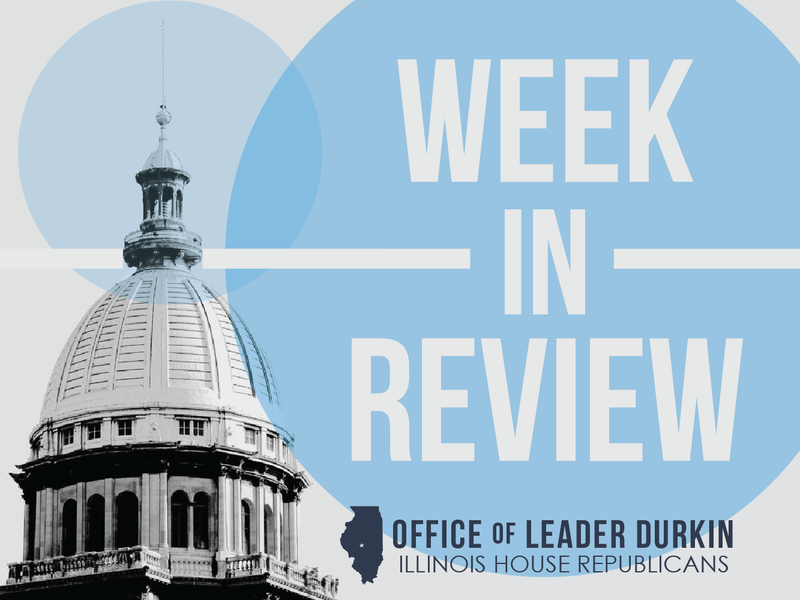 House Republicans continue to call for enactment of measures to improve Illinois’ climate as a place to do business, invent and distribute useful goods and services, and create jobs. Continued controversy over PARCC tests. The Partnership for Assessment of Readiness for College and Careers (PARCC) is a standardized test of English and math skills administered to high school students in Colorado, Illinois Maryland, Massachusetts, New Jersey, New Mexico, Ohio, and Rhode Island, and under active consideration for use in other states. The PARCC test has been granted Common Core standing as a tool to show whether or not the so-called Common Core state standards are being met in high school classrooms. This week, PARCC-related news hit many Illinois school systems as Illinois Superintendent of School Tony Smith issued a warning to districts throughout Illinois. The heads’ up notice was that PARCC first-year test results, many of which are “raw numbers” at this point that have not yet been sorted by individual school or rebalanced for social and demographic weighting factors, will come in below expectations for schools enrolling almost 70% of Illinois students. The warnings began to circulate on Tuesday, September 15. The 2014-15 school year was the first school year of attempted full implementation of the PARCC testing system throughout Illinois. Not all PARCC test results are included in the September report. PARCC tests performed by pupils by paper-and-pencil and special waivers that covered an estimated one-quarter of all Illinois PARCC tests done in the 2014-15 testing cycle, are not part of this data report and may be reported at a later date. Some districts may succeed in improving their PARCC scores as they gain familiarity with the testing system. In addition, raw PARCC numbers may not convey valid information in the absence of information about the assumptions used in matching these numbers with the challenges faced by various school districts throughout Illinois. Owner of Illinois’ 11 operating nuclear reactors ponders their future. The generating stations are located in Braidwood, Byron, Clinton, Dresden, LaSalle County, and the Quad Cities. While more than 40% of Illinois’ electrical power is generated from uranium-powered nuclear reactors, this energy source has been threatened by drops in the price of natural gas; ever-increasing mandates on operating nuclear power plants; and continuing uncertainty about the storage of used, irradiated fuel units following the end of their operating cycles. These considerations bear heaviest on Exelon’s sole Illinois single-reactor plant, the Clinton Power Station in DeWitt County. Located north of Decatur, the 1,078-megawatt Downstate reactor is licensed to operate until September 2028; but the plant was labeled “economically challenged” by Exelon in a policy announcement released on Thursday, September 10. In the same announcement, Exelon stated that it plans to continue to operate two other Illinois reactor complexes, Byron and Quad Cities, through at least May 2018. Exelon has asked the Illinois General Assembly to consider changing electric rates to benefit continued operation of nuclear power plants. The rate changes, which the company asserts follow policy moves already granted by Illinois and other states to firms that erect wind turbines and generate wind power, are described by Exelon as a way to level the playing field for all forms of clean energy. The Clinton plant, which is especially threatened at this time, sells electricity into the Midcontinent Independent System Operator network of high-tension power lines. This network is also getting power offers from newly-built wind farms and from generators powered with natural gas. Exelon has stated that the Clinton reactor plant is responsible for 600 direct and indirect Central Illinois jobs, with paychecks totaling $50 million annually. General Assembly investigates Illinois State Lottery, finds diminishment in returns. The nonpartisan Commission on Government Forecasting and Accountability (CGFA) found that in FY15 (ended June 30, 2015), transfers to State funds from the Lottery dropped by $125 million from transfers in FY14. This was the first such decline since 2009. Most of this diminishment was borne by the Capital Projects Fund, as surplus Lottery profits are allocated to State and local infrastructure. The Capital Projects Fund received $145 million in FY14 and just $8 million in FY15, resulting in slowdowns in the release of funds for a wide variety of State-funded capital projects including school construction projects. Press accounts of the CGFA report were, in some cases, slightly misleading. Some of the news stories presented the drop in Illinois State Lottery profits as a red-ink number rather than a diminished black-ink number. The State Lottery is currently highly vulnerable to bad publicity, as in the absence of an FY16 budget it is legally barred from paying out prizes greater than $25,000. Winners of large prizes are being presented with Lottery IOUs rather than cash, and litigation is pending. The CGFA report, “Wagering in Illinois: 2015” was released on Thursday, September 17. Cases of mumps diagnosed at Eastern Illinois University campus. The infectious viral disease, which causes symptoms resembling those of severe flu combined with swelling of the cheeks and salivary glands of the jawline, had previously been diagnosed at the campus of the University of Illinois at Urbana-Champaign (UIUC). Officials at the Charleston-based Eastern Illinois University (EIU) reported on Tuesday, September 15 that two cases of mumps had been diagnosed at EIU so far in September 2015. This outbreak followed the diagnosis of approximately 100 cases of mumps at UIUC in the summer of 2015. As mumps is highly contagious, persons who suspect they may have come down with this illness may choose to begin by seeking a distance diagnosis. They may choose to contact a primary medical care provider by text or phone to describe their symptoms. Many Illinois residents are resistant to mumps as a result of having been vaccinated for the disease in childhood. A relatively safe, effective anti-virus vaccine will protect children from measles, mumps, and other viral diseases. The protection, typically administered when the baby is 12 to 15 months old, continues into adulthood for those who have been vaccinated for these diseases. In some outbreak situations, public health providers will administer mumps shots to adults on college campuses and in other environments where the illness has broken out among those who were not vaccinated as children. Adults who are at risk may choose to get these vaccinations, as mumps can have severe and lasting side effects. 800 headquarters jobs to move within Chicago area. The positions, associated with management-level activities over the provider of first-responder personal communications devices and solutions, will move from Schaumburg to Chicago’s Near West Side. Motorola Solutions stated their intent to retain 1,600 existing positions in the northwest suburbs, with facilities in Schaumburg and Elgin. The announcement was made on Tuesday, September 15. Serious work has been done since 2001, by Motorola Solutions and other firms, towards the goal of creating a seamless web of secure personal and data communications between first responders in 9-1-1 and other rapid-response situations. Motorola Solutions and its corporate predecessors have been involved in handheld communications ever since their days of making primitive “walkie-talkie” devices for Army Signal Corps use in World War II combat units, including on D-Day. The firm has expanded its offerings to cover handheld communications in a wide variety of secure commercial/industrial settings, such as among personnel on a spread-out warehouse floor. New administrative rule tries to crack down on enclosed smoking, adds to confusion. The Smoke-Free Illinois Act, enacted in 2007, is aimed at reducing involuntary exposure to tobacco smoke. Language in the law forbids smoking tobacco indoors in public places, including casino floors, bars and taverns. Some bars and taverns have opened “beer gardens” in which patrons are allowed to smoke. 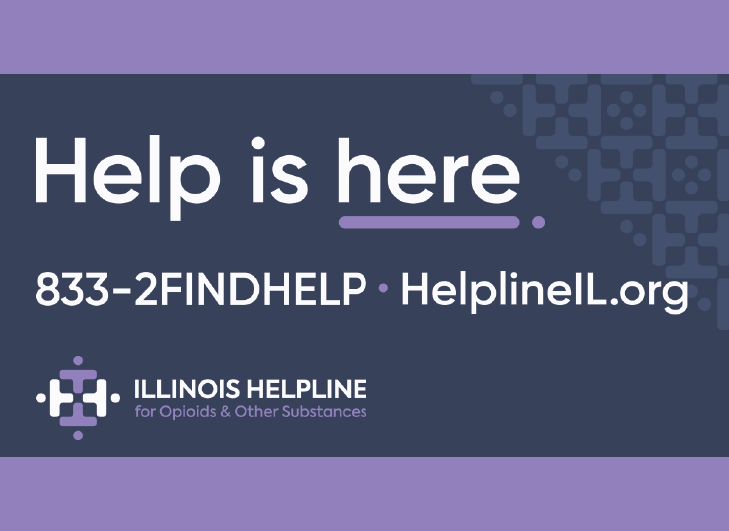 New administrative rules from the Illinois Department of Public Health are meant to clarify the situations in which outdoor smoking will be allowed. Many tavern owners and operators report being confused and challenged by the new rules and say that they are getting legal advice that indicates that full compliance with the new rules could completely end smoking in beer gardens. A push has begun to scrutinize and possibly modify the new rules. No budget leads to health care concerns for State workers, retirees, and health care providers. 363,000 current and retired State workers, which include university employees and family members covered by the State of Illinois’ group insurance program, could be affected. A spokeswoman for the Department of Central Management Services (CMS), which operates the program, pointed out that a key element of the program – payments to health care providers – is one of the spending items affected by the inability of Illinois to enact a workable State budget for FY16. The new fiscal year began on July 1, 2015, and this is the 11th week without a State budget. The first group of health insurance plans to be affected are self-insured plans often utilized by retirees. CMS stated that all State-supervised health care payments for workers, retirees, and their families would be paid as long as possible. Stoppage of payments would presumably cause a significant percentage of health care professionals to ask for alternate pathways of compensation, including immediate, up-front compensation from patients, for services provided to members of these groups. the continuing legislative and fiscal challenges facing policymakers in Springfield.